Throughout the election season, the hotel will serve The Elephant, The Donkey, and The Incumbent—all available at Cape Resort properties restaurants including Congress Hall’s Blue Pig Tavern, The Virginia’ Ebbitt Room, and Beach Shack’s Rusty Nail. You can also bring in your “I Voted” sticker to any Cape Resorts Group property restaurant on Election Day or the week following, and you will receive 10% off any election drink. 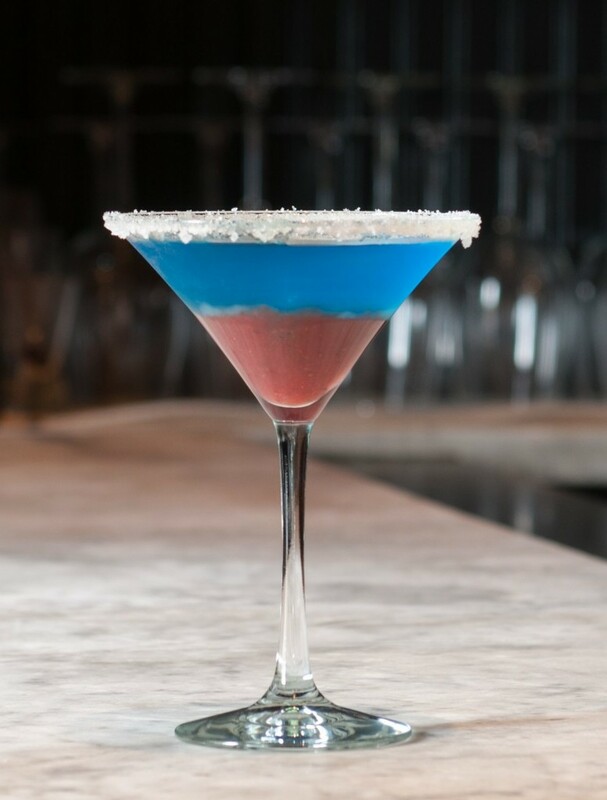 Is there any better way to celebrate our democracy than with a big-ole red, white, and blue beverage? For those of us who can’t really be too bothered to make our cocktails look just like the picture, we’re going to mix all the ingredients together in a large cocktail shaker, shake with American Pride, and pour into martini glass. It may be a little purple, but it will surely exude patriotism!